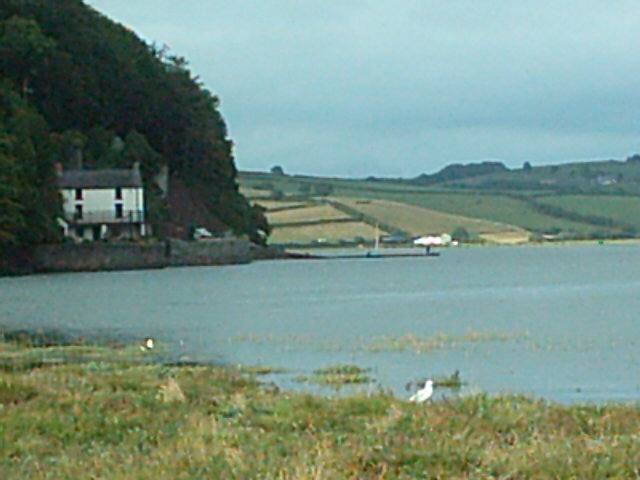 This cottage, which overlooks the Estuary, is nestled at the end of cobbled Market Lane. From the patio balcony, Dylan Thomas' Boathouse is to the left; ahead lies the estuary, with Pendine and Pembrey beaches and the Gower Peninsula beyond. Inside, there is bijou comfort with nicely-proportioned, cosy and inventively shaped rooms. 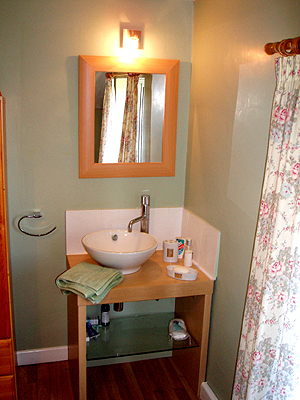 Call Kathy on: 01446 679186 for details and availability. 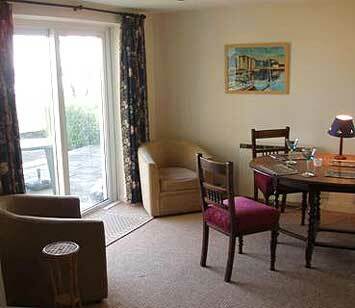 Comfortable furnishings and carpets with a dining area overlooking the wonderful view of the ever-changing estuary. A dining room with patio doors leading out over the terrace and decking looking out over the view beyond. Well-equipped modern Kitchen down to the important corkscrew!. 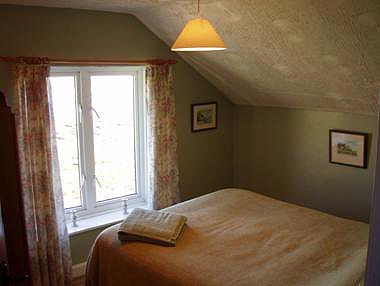 2 double bedrooms, one with hand basin and a window looking due east across the estuary towards the Gower peninsular. Dawn can be a real treat with lying in bed looking straight out over the estuary whilst having a mug of tea! The other with period furniture and enticing early morning wafts of freshly baking bread from the nearby bakery. The terrace and decking to the rear provide a super sitting out area with an unbelievable view and yet which is also private. Chairs and table are to be found which create a great place to relax, read a book and take in the ever changing scenery as the tide flows in and out.